Our goal is to connect people with the best local experts. We scored roofers on more than 25 variables across five categories, and analysed the results to give you a hand-picked list of the best roofers in Salt Lake City, UT. Aspen Roofing has served customers throughout the area for more than 15 years. The company has an A+ rating with the Better Business Bureau, and has won the Angie’s List Super Service Award seven consecutive years. Aspen's services include roof repair, replacement, gutters, side venting, and custom metal accents. The company is a Certified Green Roofer that installs cool roof shingles and solar panels. Brady Roofing in Salt Lake City serves home and business owners. The business, founded more than 20 years ago, installs pitched roofing, flat roofing, designer shingles, metal roofing, and cool roofing shingles. The Better Business Bureau has given Brady Roofing an A+ rating. Customers have praised the company for its efficiency and hard work. Far West Roofing is a Riverton roofing company serving homeowners and local businesses with roof repair, maintenance, inspection, and consultation services. Far West Roofing has served the Salt Lake City Metro area for more than 20 years and has certification from CertainTeed, Carlisle, Duro-Last, FiberTight, IB Roof Systems, and Dibiten. Fortress Roofing in Salt Lake City has served the area for more than 20 years. The business works with residential and commercial customers on both small and large projects, including shingles, flat roofs, re-roofing, tear offs, and repairs. Fortress Roofing is accredited by the Better Business Bureau with an A+ rating and received the Angie's List Super Service Award in 2011. The company is a GAF contractor, and its employees are trained in the removal and disposal of hazardous materials. Iron Clad Exteriors is a family-owned Sandy roofing company that takes pride having a customer base of primarily repeat customers and referrals. The business' specialties lie in roofing and siding, with materials that include asphalt shingle roofing, cedar shake, metal, fiber cement, wood, and synthetic slate. Iron Clad will also install cold roof systems and snow melt systems. J & N Roofing Maintenance is a Salt Lake City roofing company that has served the area for 20 years. Services include old roof maintenance, new roof construction, tear offs, windows, repairs, gutters, and siding. The business is familiar with a variety of roofing materials, including asphalt, metal, and wood shake. Customers have praised J & N for its team's polite attitude, professionalism, and fair pricing. Knockout Roofing is a Salt Lake City roofing company based in Riverton. The business serves home and business owners with a variety of services, which include snow removal, heat cable installation, roof repairs, roof tear off, GAF shingles, and inspections. Knockout is a Green Friendly company and has an A+ rating from the Better Business Bureau. Lloyd's Quality Roofing is Farmington-based company that has served the local area for more than 40 years. 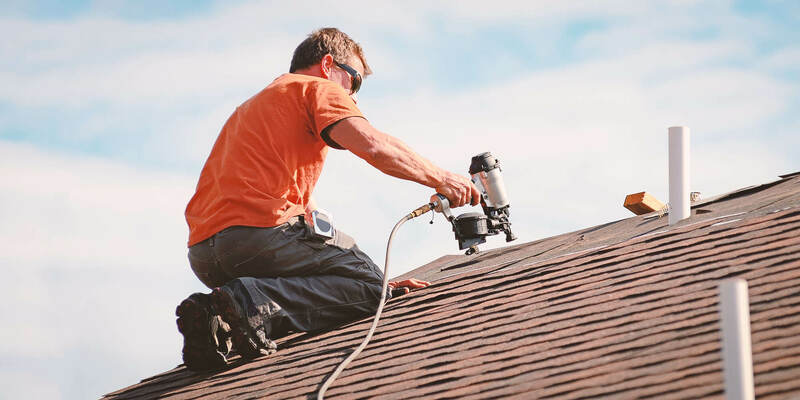 Services include shingle, membrane, metal, and specialty roofs for both residential and commercial properties, and the company offers free estimates for repairs, re-roofing, or new construction. On Top Roofing is a Salt Lake City roofing company that has served the area for more than 15 years. Based in Park City, the business is a member of the National Association of Home Builders and the National Roofing Contractors Association. On Top Roofing's services include emergency roof repairs, leak repairs, snow and ice removal, and new construction for residential and commercial customers. Its team also specializes in sheet metal fabrications. Pioneer Roofing is a Salt Lake City roofing company that has served the area since 1980. The locally-owned and operated business' services include re-roofing, tear offs, leak detection, roof maintenance, consulting, flat roofing, and metal roofing for residential and commercial customers. Customers praise the company's team for its great communication, fast work, reasonable pricing, and follow up. Roofers Supply is a family-owned Salt Lake City roofing company that specializes in roofing materials and distribution. Founded by a team of brothers in 1994, the business has grown into six Utah branches. Roofers Supply has roofing materials for a variety of roofing jobs, like coating systems, insulation, waterproofing, skylights, fiber cement weatherboard, garden roofs, and safety supplies. The business' materials include asphalt, metal, and tile. In 1997, the company created the Roofers Supply Steve G. Pappas Memorial Scholarship, a program that supports the education of roofing contractors' children. Shaw Roofing is team of a Salt Lake City roofers that have served residential and commercial customers for more than 20 years. The business' services include roof maintenance, roof replacement, gutters, weather proofing, and siding. Shaw Roofing is accredited by the Better Business Bureau with an A+ rating, and customers attest to its quality service and hard working crew. Shingle Pro Roofing is a team of Salt Lake City roofers that removes roofs, installs roofs, installs siding, installs rain gutters, and applies heat cable systems for residential and commercial customers. Shingle Pro Roofing has an A+ rating from the Better Business Bureau, and former customers attest to the team's eye for detail, use of high quality materials, efficient work, and friendly attitudes. The Roof Doctor is a Salt Lake City roofing company that specializes in residential roofing. The business' services include roof repairs, replacement, re-roofing, tear offs, flat roof installation, storm damage roofing, and emergency roof repair. The Roof Doctor is a GAF contractor that uses TruSlate slating. Customers praise the company for its great communication, competitive pricing, and efficient clean up. Utah Care Roofing is a Salt Lake roofing company with employees that have been trained for at least three years. Based in West Valley City, the business has more than 30 years of experience in the industry. Areas of expertise include leak repairs, wind damage repairs, shingle replacement, roof repairs, roof replacement, and remodeling. Utah Care also provides 24-hour emergency services. Customers have praised the business for its fast, efficient work, quality materials, and thorough cleanup. Vertex Roofing Contractors is a Salt Lake City roofing company that serves home and business owners. The business will inspect roofs for free, and provides roof replacements, repairs, maintenance, shingles, and industrial roofing. Its staff have more than 15 years of experience in the industry. Customers have praised the company for its great prices, timely service, professional attitude, and clean work. VIP Roofing is a Centerville roofing company affiliated with the Western State Roofing Contractors Association, the CertainTeed Professional Roofers Advisory Council, and the Utah Roofing Contractors Association. VIP Roofing's services include roof repairs, roof replacements, and new construction. The business also has environmentally friendly roofing options like solar reflective coatings, reflective asphalt shingles that keep a cooler roof, cooling skylights, and ventilation systems. Locally based Wesley Green Roofing has served customers throughout the area since 1948. The licensed, bonded, and insured business' services include ice dams, roof repair, metal roofing, roof replacement, and skylights for commercial and residential customers. Wesley Green also installs solar roofs for environmentally-conscious housing. The Better Business Bureau has given the business an A+ rating. Whitaker Roofing is a roofing company in Salt Lake City that has served the area for two generations. The business' employees all finish a certified training program with CertainTeed, and customers attest to the team's professional attitude and quality work. Whitaker's services include full roof replacements, roof repairs, ventilation, snow and ice removal, and gutter cleaning. The Better Business Bureau has given Whitaker Roofing an A+ rating.